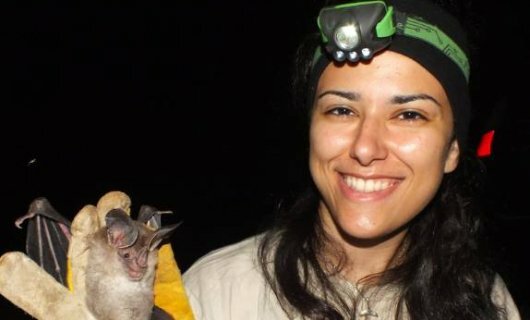 Renata’s biography: I am a Brazilian biologist with experience on landscape ecology and mammal ecology. I have a great interest on disease ecology, teaching, learning, doing research and science communication. Currently, I am investigating the interplay between landscape change and interactions among mammals and hantaviruses in Brazil. My project is funded by São Paulo Research Foundation (FAPESP 2017/21816-0). I will be visiting David Hayman’s group for one year to develop a part of my PhD research on hantavirus disease ecology. You can find more about my work here http://www.bv.fapesp.br/pt/pesquisador/176171/renata-de-lara-muylaert/ .